At the beginning of October 2012, CN Residents of Hospital del Mar decided to open a weekly session of scientific data disclosure related to Clinical Neurophysiology with the aim of a better knowledge up-to-date of neurosciences, electromiography, electroencephalography, polisomnography, transcraneal magnetic stimulation, intraoperative monitorization, evoked potentials, neuroimaging. 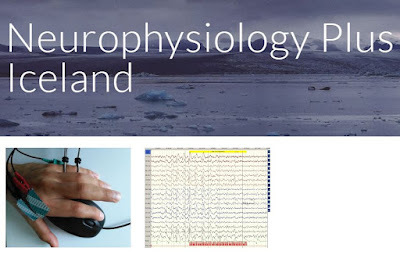 Neurophysiology Plus Informal Group Iceland was formed in November 2016 in Reykjavík Iceland. 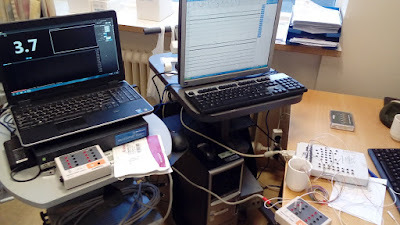 The new website, and the Clinical Neurophysiology news from Iceland are now available (here). 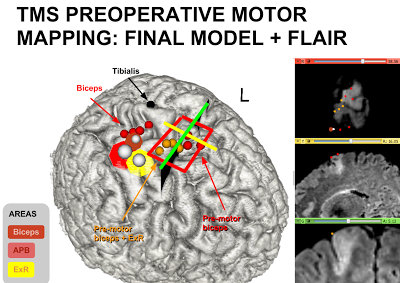 On 1st of December 2016, a patient with left frontal lobe space-occupying lesion was operated with awake surgery in Iceland. A team coordinated by Ingvar Ólafsson performed preoperative neuropshychological tests and intraoperative direct brain cortical stimulation in awake patient to localize motor speech area with the aim to avoid possible neurological injuries during the procedure. 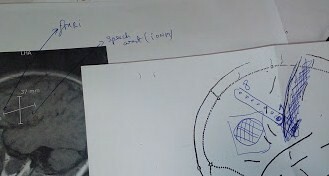 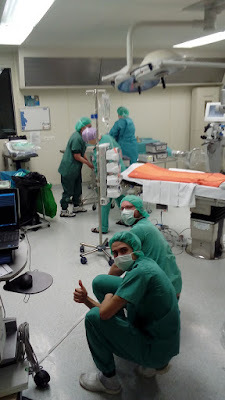 The patient collaborated very well and the removal of the tumor was performed always with the patient in awakefullness performing speech mapping and several specific cognitive tests (here). 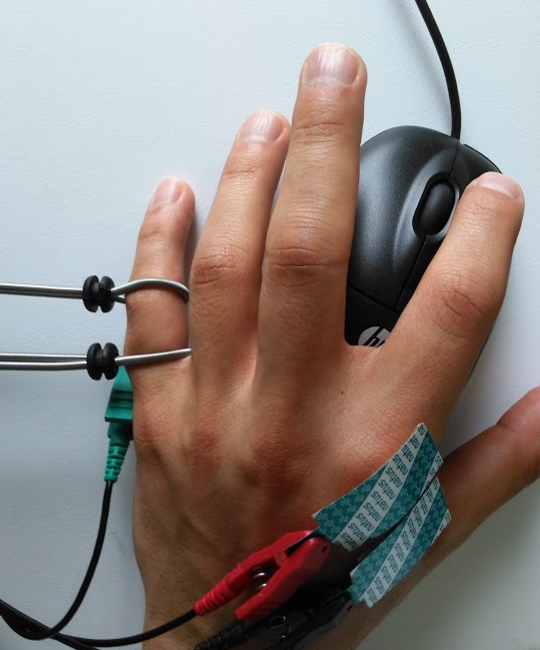 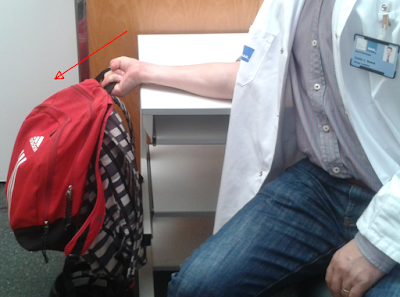 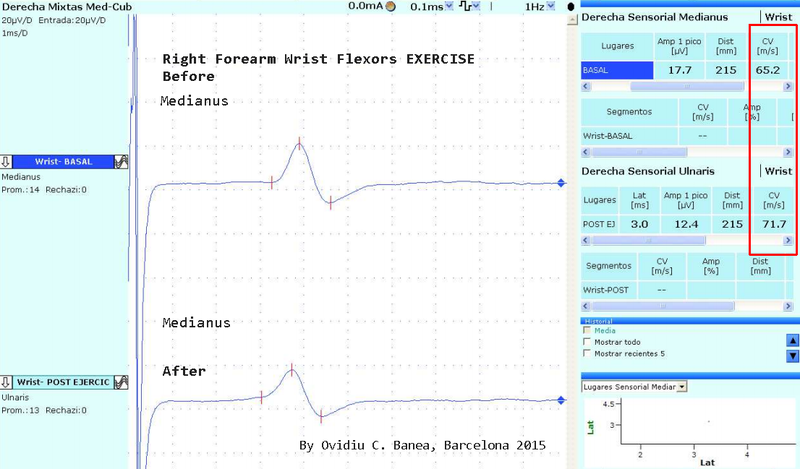 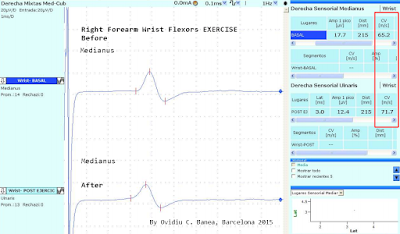 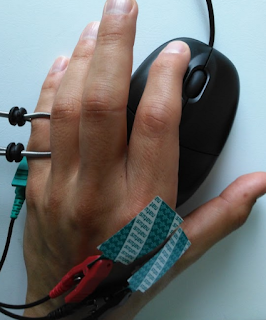 During summer 2016, members from Neurophysiology Unit Landspitali University Hospital, Fossvogur, Iceland (Neurology Department) are conducting an experiment using novel technique of Cutaneous Silent Period (CuSP) at baseline conditions and after two type of interventions (isocinetic and isometric exercise) in upper limb nerve-muscle "reflex" as following: median nerve - abductor pollicis brevis and ulnaris nerve - first interosseous. The aim of this work is to analyse the contribution of sensory inputs to the cutaneous silent period and if there are changes after isometric exercise suggesting involvement of other afferent fibers (beside of small mielinated A-delta) to the CuSP onset, like those of muscle spindles. Residency period finished today 12th of May 2015. 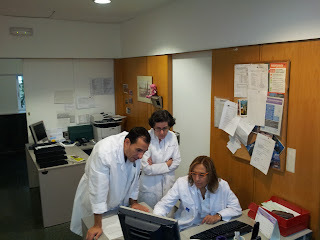 Dr Ovidiu C. Banea is now Clinical Neurophysiology specialist. 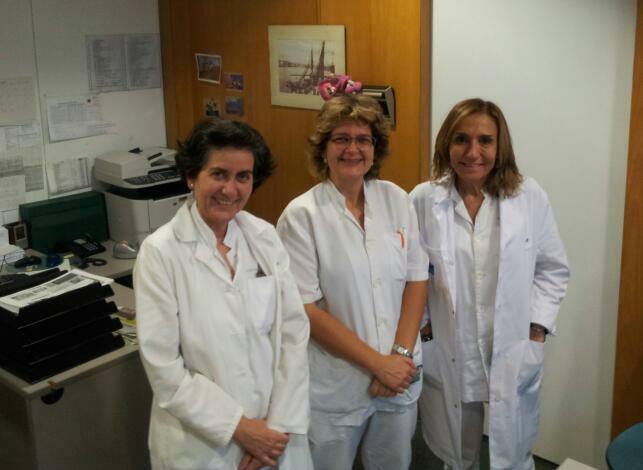 Here with Alba, Nuria and Belia. 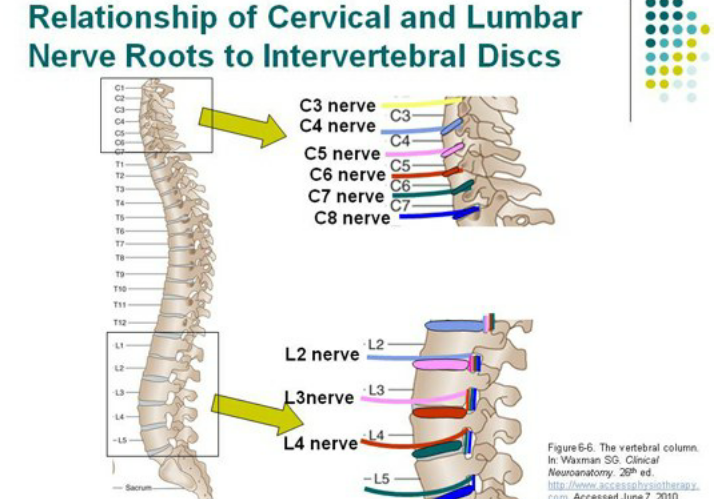 Brief description of the human spinal cord myotomes and dermatomes, a very simple and basic level. 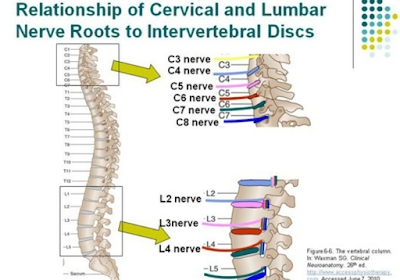 Source: accessphysiotherapy, Dr. Annie Burke-Doe (here). 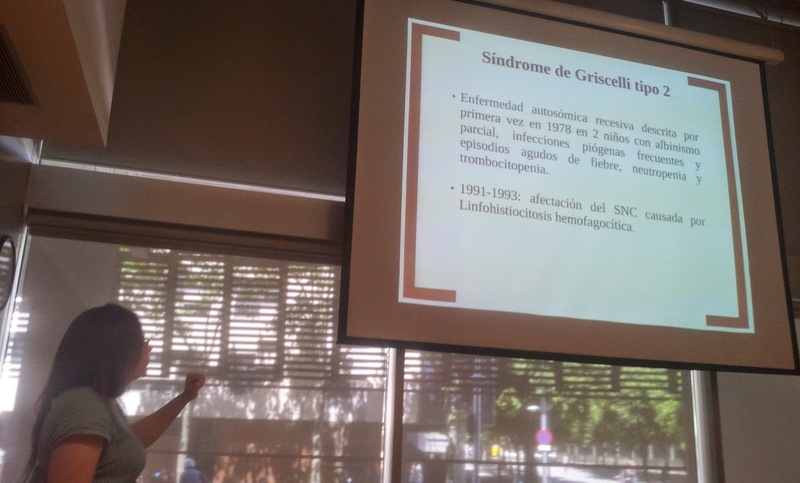 Dr Schestatsky talked about descending antipain mechanisms (here), an oral conference during the neuropathic pain courses, chapter of "Master en Electrodiagnostico Neurologico". Intrathecal use of baclofen pump affects duration of Cortical Silent Period in patients with sever spasticity. 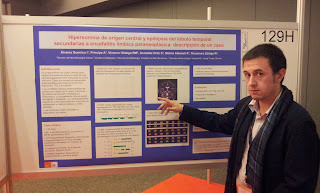 Baclofen does not affect the cutaneous SP, but prolongs the cortical SP Stetkarova I and M Kofler, 2013 (here). 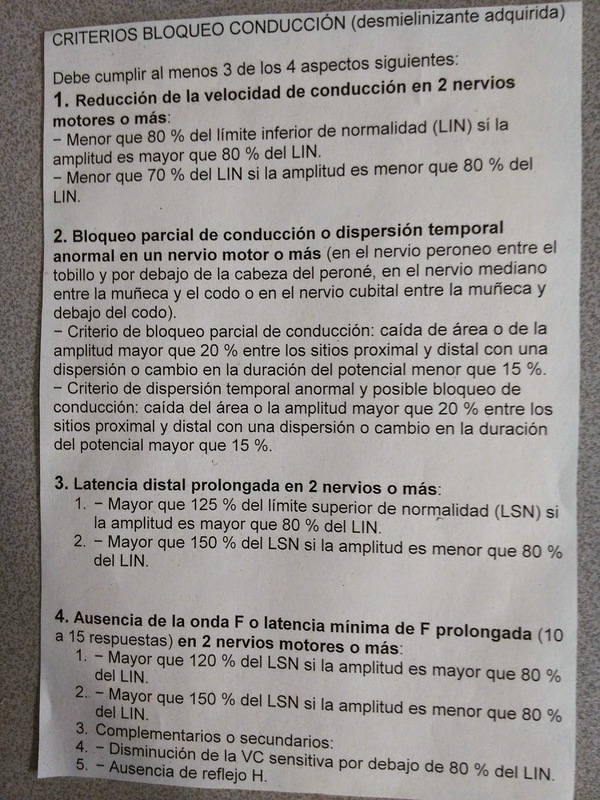 To better understanding of intrathecal versus epidural administration we use the image below. 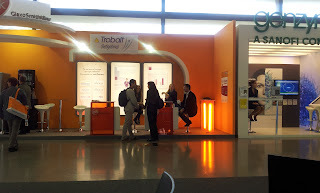 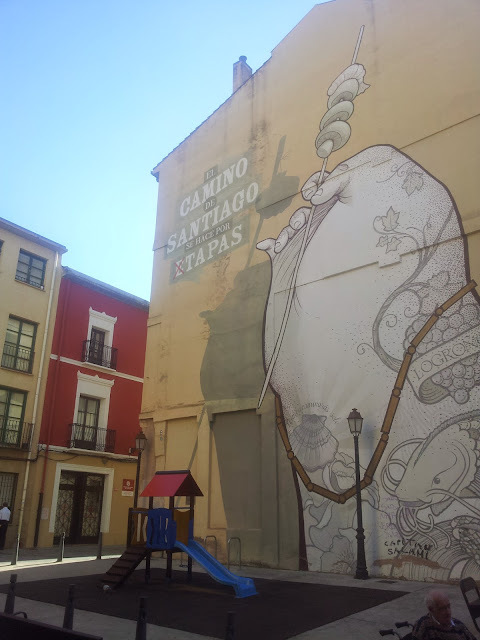 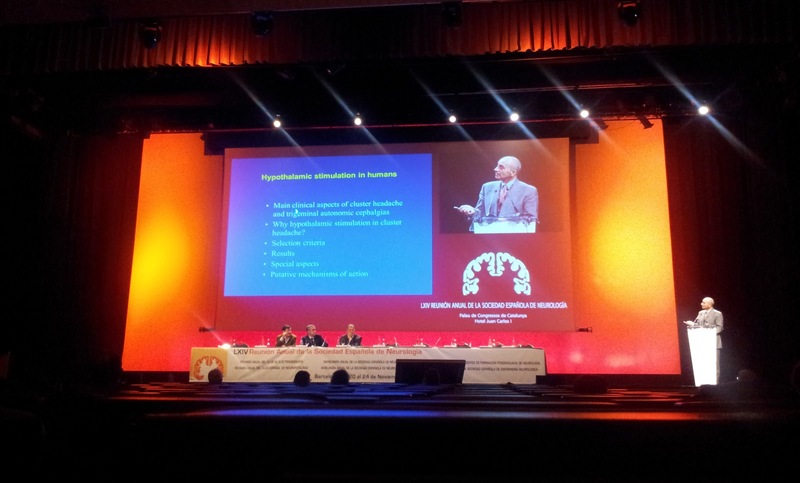 From Mayfield Clinic "Intrathecal drug pump"
The 52nd meeting of the Spanish Society of Clinical Neurophysiology took place from the 1st to 3rd of October 2014. The event was organized in the beatiful building RiojaForum located in a wonderful nature landscape near Ribera Park and Ebro River in Logroño, Spain. 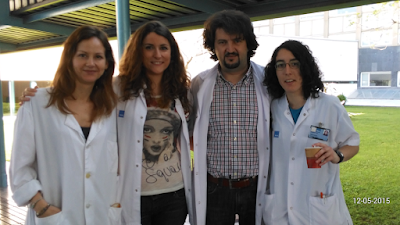 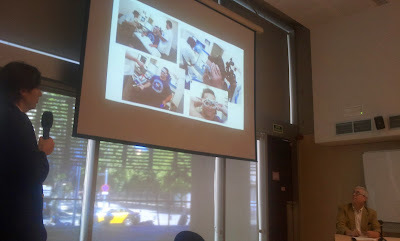 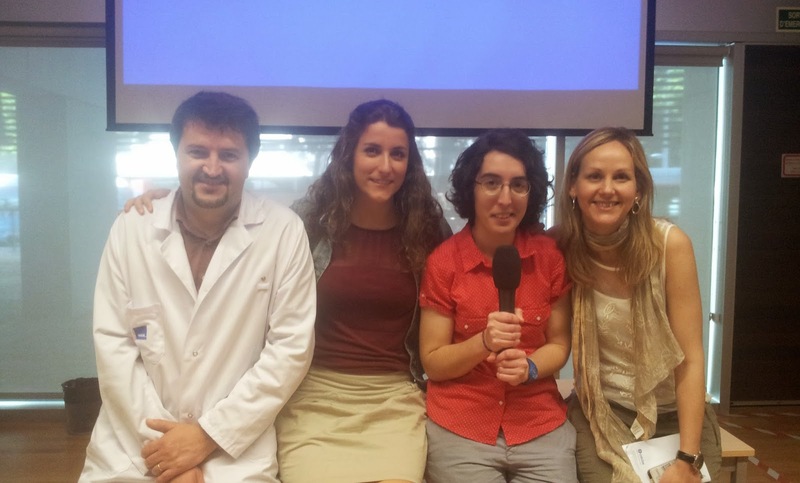 Residents of Clinical Neurophysiology Unit of Hospital del Mar, Barcelona participated with two oral communications about spontaneous nocturnal movements (Brief Neurophysiology). 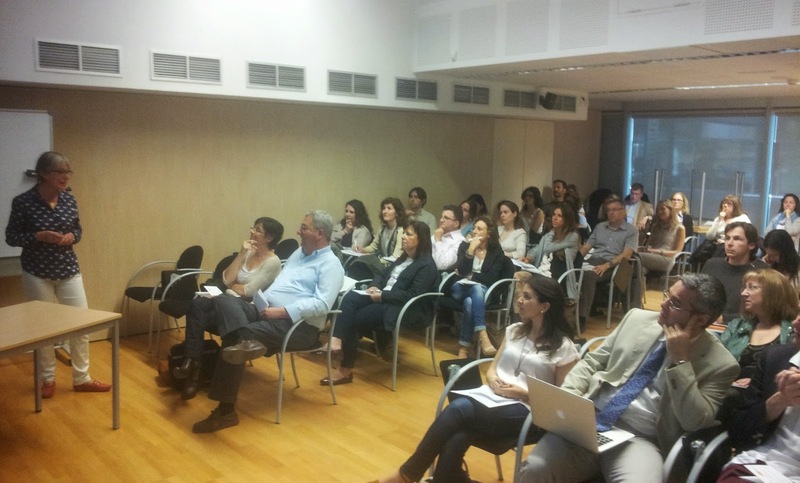 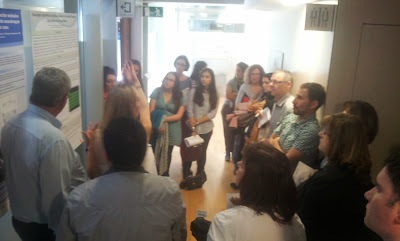 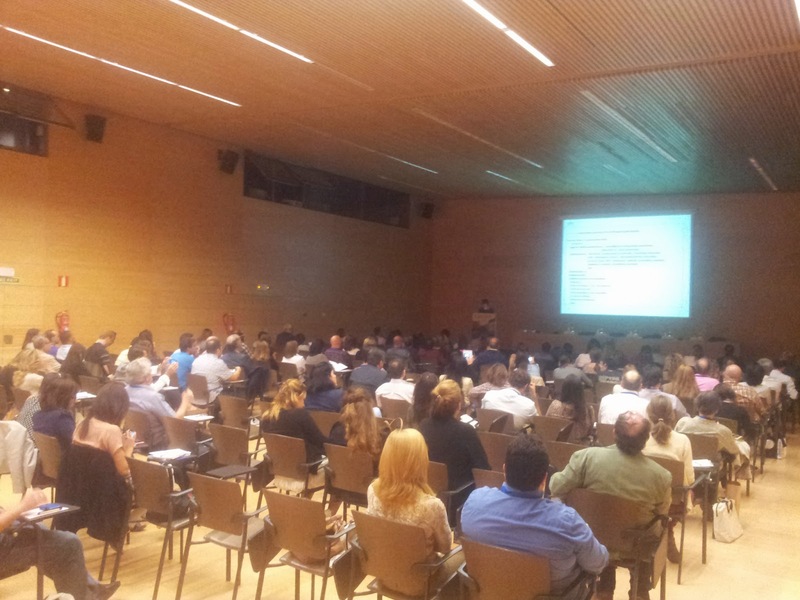 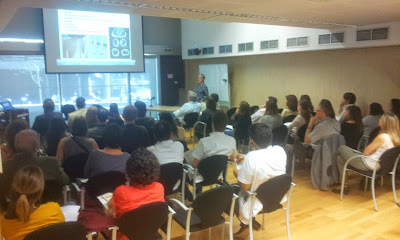 On May 23rd, 2014, took place the 6th annual meeting of the Catalan Societies of Clinical Neurophysiology and EMG in Charles Darwin hall of Barcelona Biomedical Research Park (PRBB). 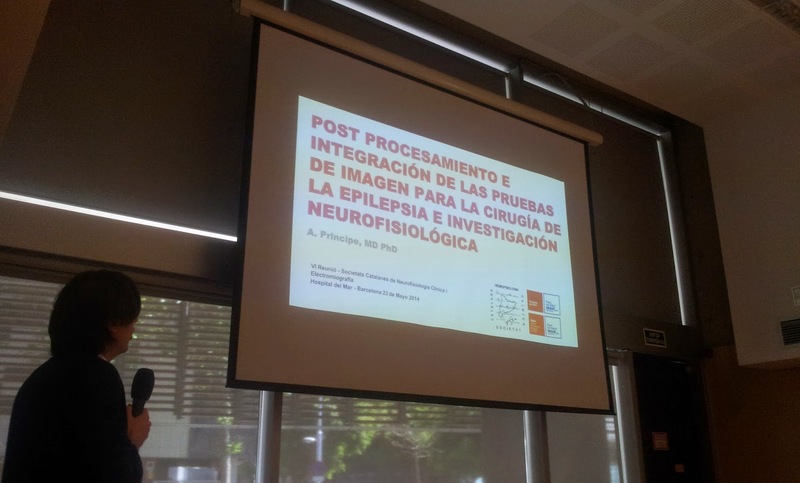 The program included 3 lectures presented by specialists with large experience on the field of miopathies, intracranial EEG and functional MRI. 5 oral communications and 3 posters written by CN young specialists and resident physicians completed the evening program (here). Congratulations and do not forget your happy days as resident! 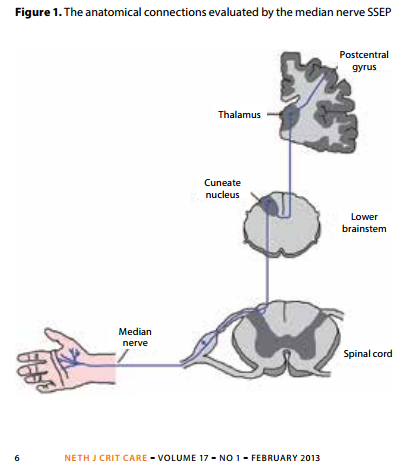 "Possible neural networks involved in psychogenic movement disorders based on the latest advances from the neuroimaging literature. 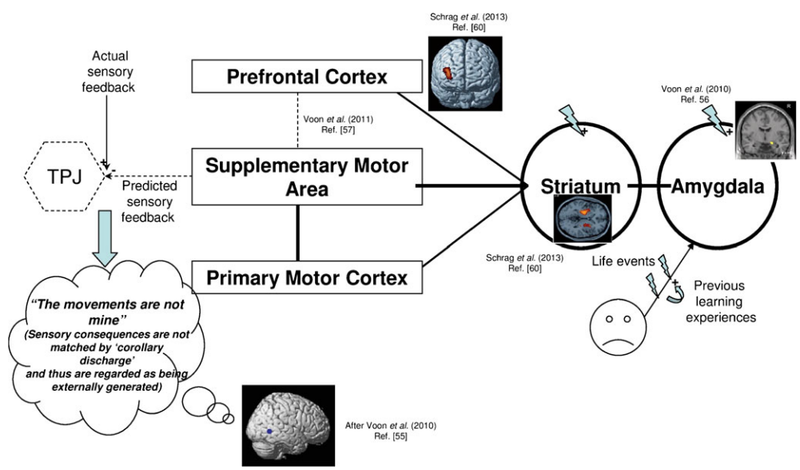 There is an overly sensitive emotional network, possibly conditioned by previous learning experiences, that feeds into the extended motor network via the striatum. 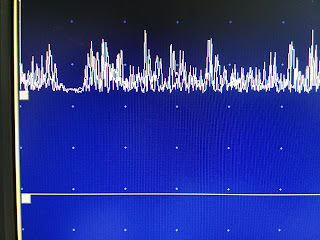 In the presence of abnormal self-directed attention, mediated by abnormal prefrontal cortical activation that is functionally disconnected from the core motor network, these changes drive the production of aberrant movements that are not yoked to a normal sense of self-agency. 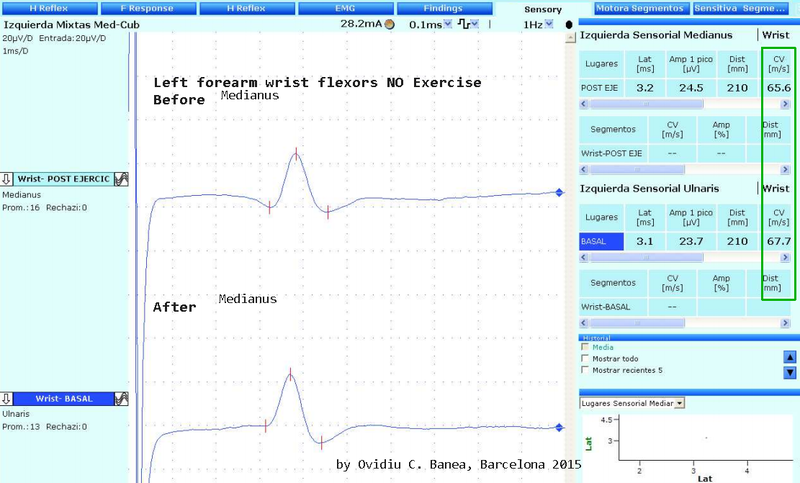 This is because of hypoactivity of the supplementary motor area that normally provides the ‘corollary discharge’ signal that informs the temporoparietal junction (TPJ) ‘comparator’ what to expect in terms of sensory feedback as a result of internally generated, as opposed to externally generated, movements. The Clinical Neurophysiology of Psychogenic Movement Disorders will be discussed during the 4th Session of the Journal Club, Second Edition on 17th of February 2014. 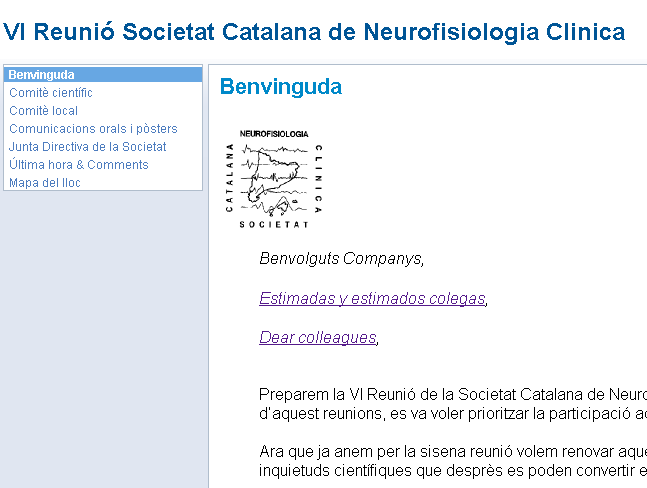 We are delighted to invite you to the 6th annual meeting of the Catalan Society of Clinical Neurophysiology which will be will be held this year in our Hospital. The Guardian announced researcher's findings that one cicle of Transcraneal Magnetic Stimulation protocol, is beneficious as treatment for Heavy Smokers, who already failed in abandon the habbit with other treatments, that TMS could treat the smocking dependence for periods of six months. 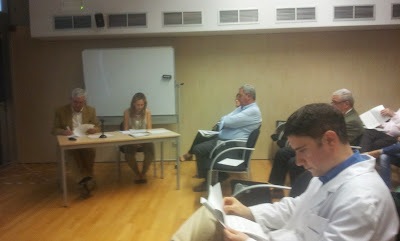 New session of Clinical Neurophysiology Journal Club was already opened. 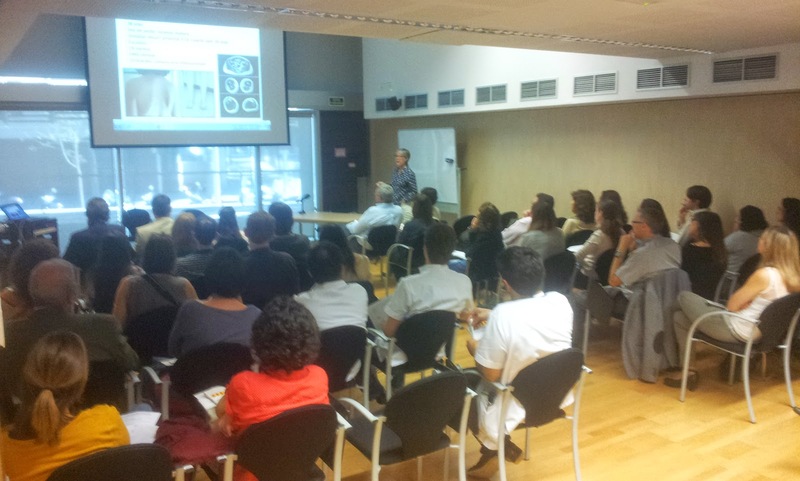 On 21 January 2013 Medtech announced First Surgical Assisted ROBOTIC in Spain surgery using ROSA™ This landmark surgical intervention was performed by Dr. CONESA and his team at the Del Mar Hospital in Barcelona, Spain. ROSA™ was used for the pre-operative surgical planning and intra-operative positioning of sEEG deep brain electrodes used in the treatment of Epilepsy. 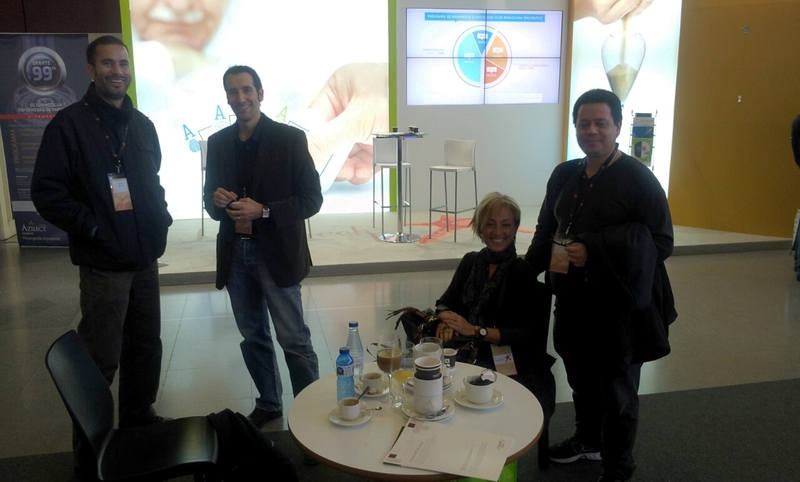 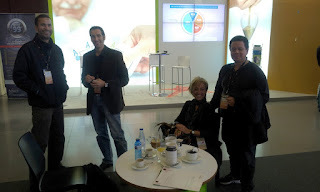 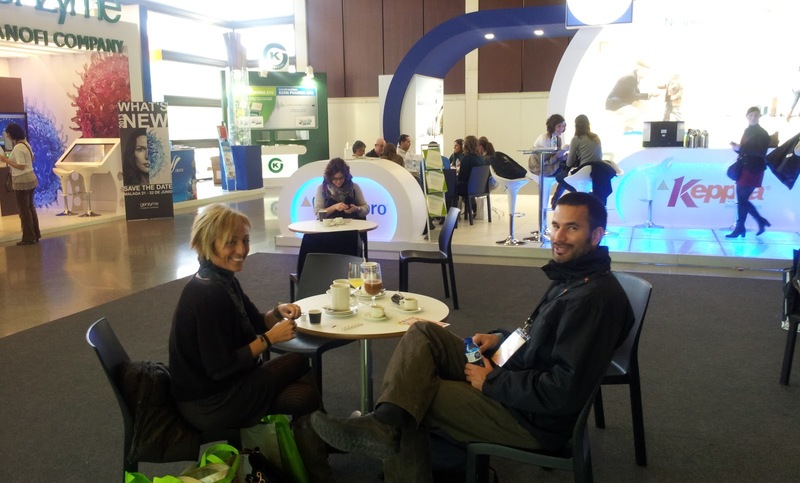 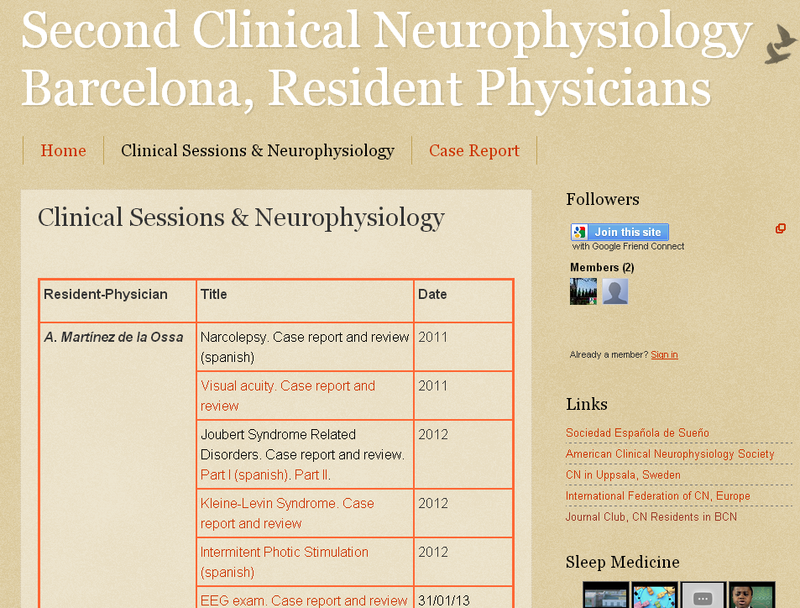 On April 11th, 2013 New Clinical Neurophysiology Blog appeared in Barcelona. 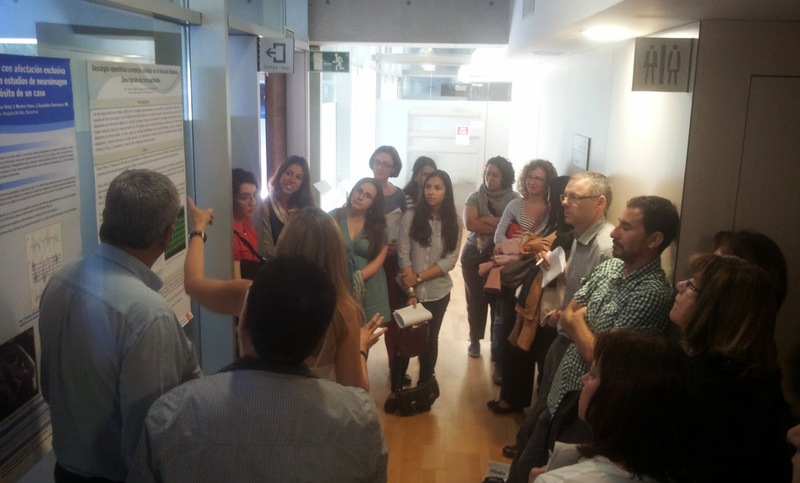 Clinical Sessions of Sleep Disorders, Epilepsies, Infant Epileptology, Neuropathology and Electro-diagnostic Neurophysiology Case Reports will be uploaded on the website by our CN Resident Physician colleagues of Hospital Vall d'Hebron, Bellvitge Hospital, and other Hospitals. 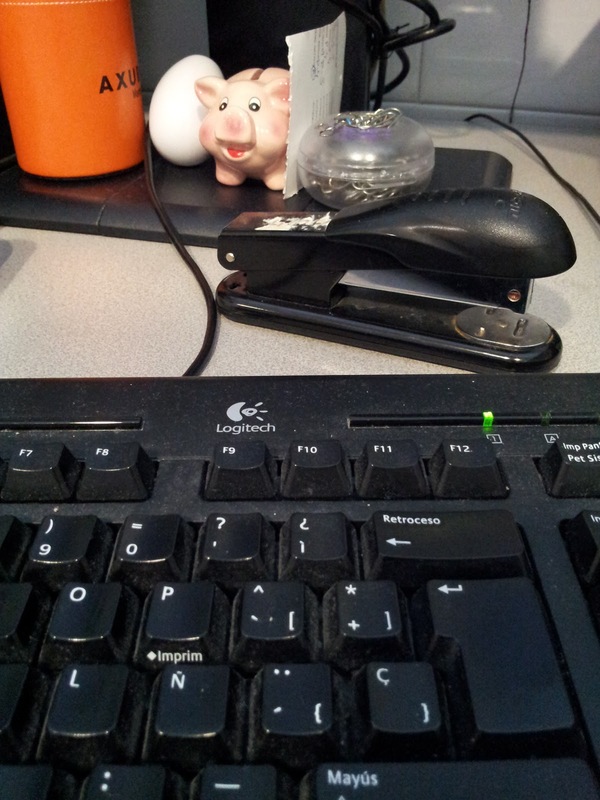 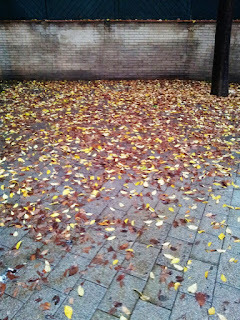 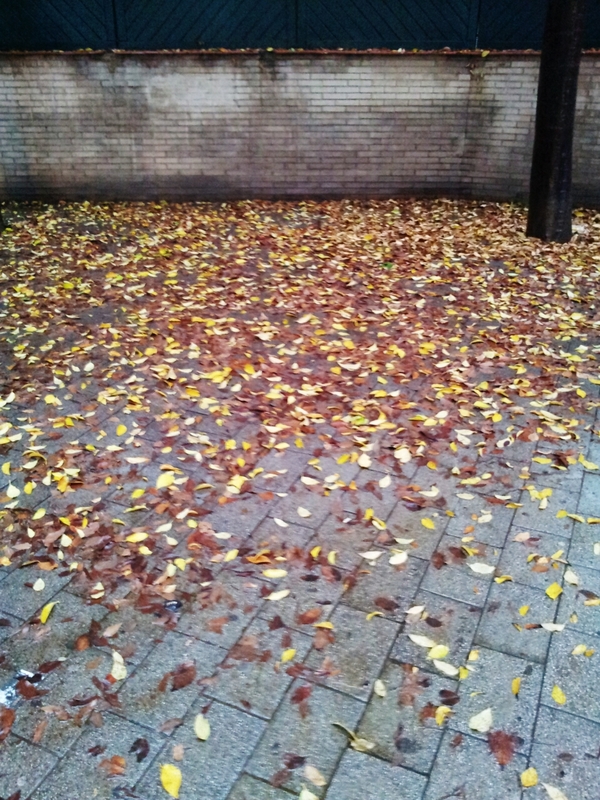 Welcome to Blogosphere! 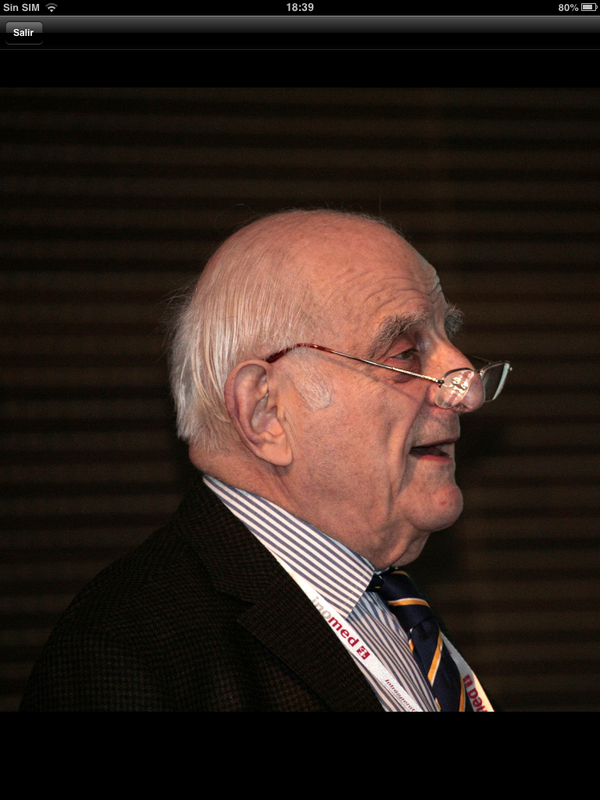 Dr. Vahe E. AMASSIAN, world recognized neuroscientist, who made extraordinary achievements in research, teaching and mentoring of graduate students, medical students and biomedical faculty died on January 7, 2013 at age 88. 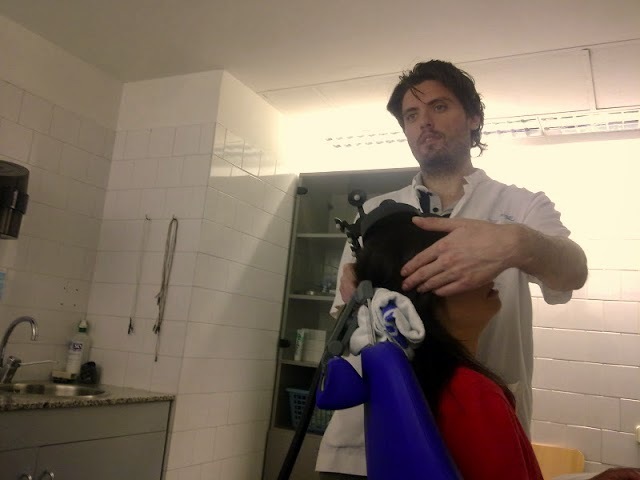 It began by using animal models and progressed in the last three decades to studies on humans using noninvasive trans-cranial magnetic stimulation. 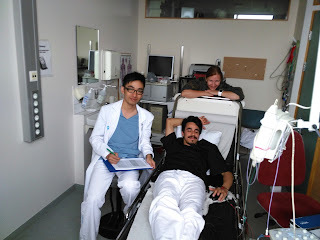 Vahe's hallmark was his unwavering scientific honesty. His research on the electrophysiological properties of sensory-motor systems in the brain was passionately sustained for more than 60 years (here). 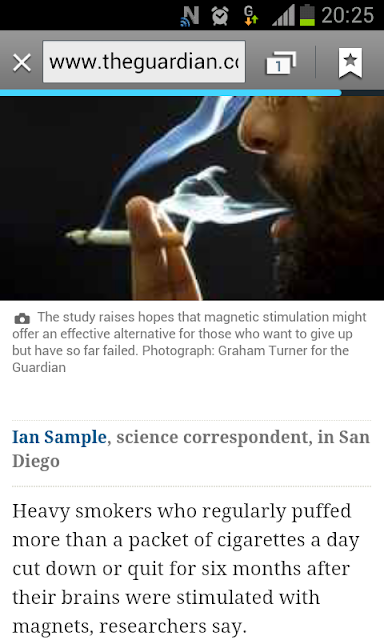 (Published in The New York Times on January 9, 2013). 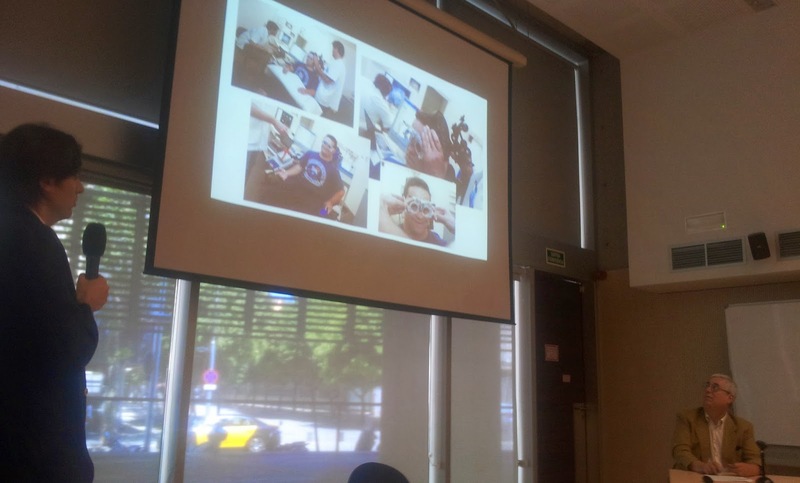 Since December 2012, the Clinical Neurophysiology Residents' team opened a monthly presentation of clinical cases in which multidisciplinary teams have worked. 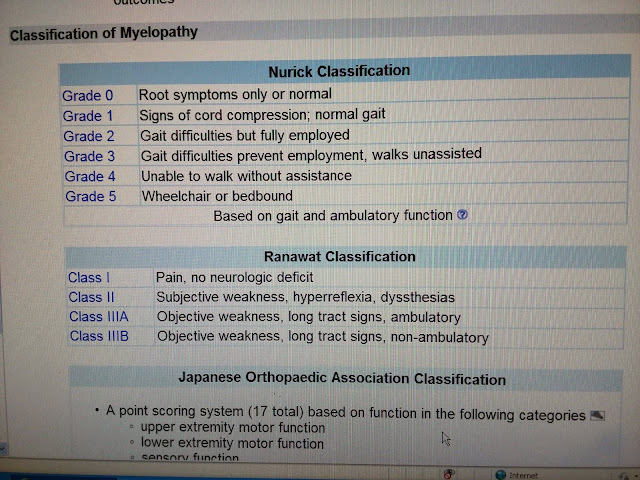 The case report section is available on the right side menu. 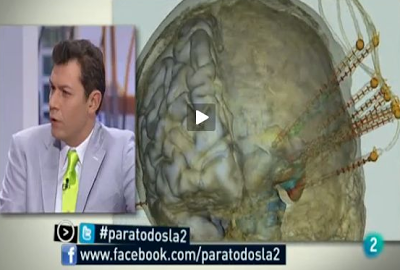 Here we present a drug resistant epileptic patient in which TMS was used for surgery planning. 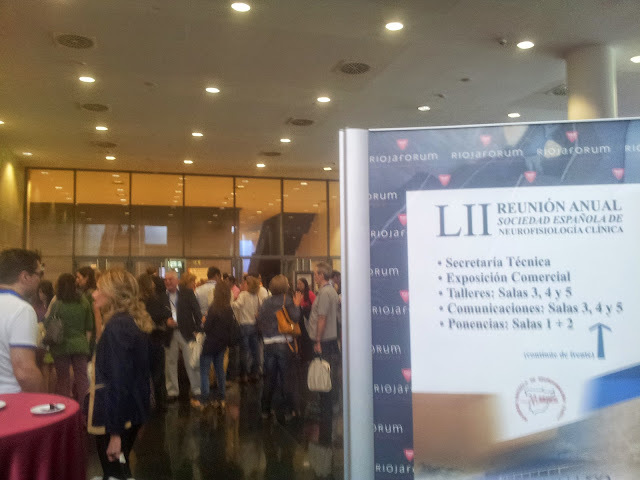 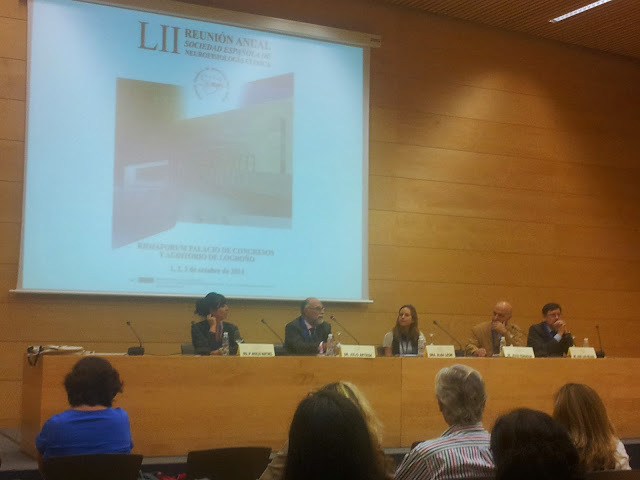 From 20th to 24th of November 2012 took place the LXIV annual meeting of Spanish Society of Neurology and Electromyography Club. 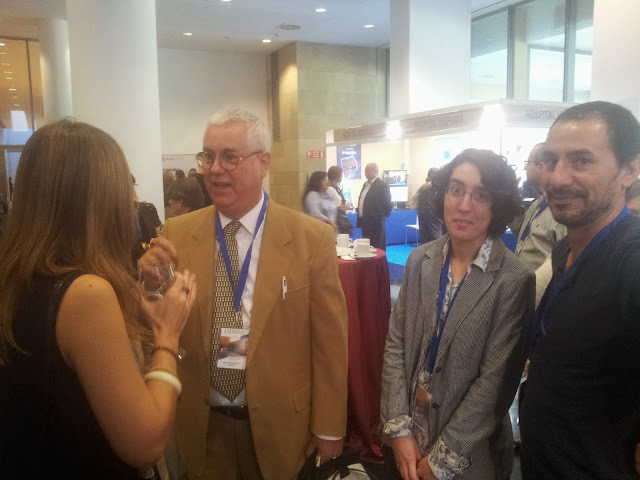 Here, in Palau de Congressos de Catalunya, our Resident Physicians' Tutor, met our major colleagues who finished Clinical Neurophysiology in Hospital del Mar during 2008-2011 period: Monica Vicente, Nadim Ailouti Caballero, Salvador Amezcua and Jacob Diaz. 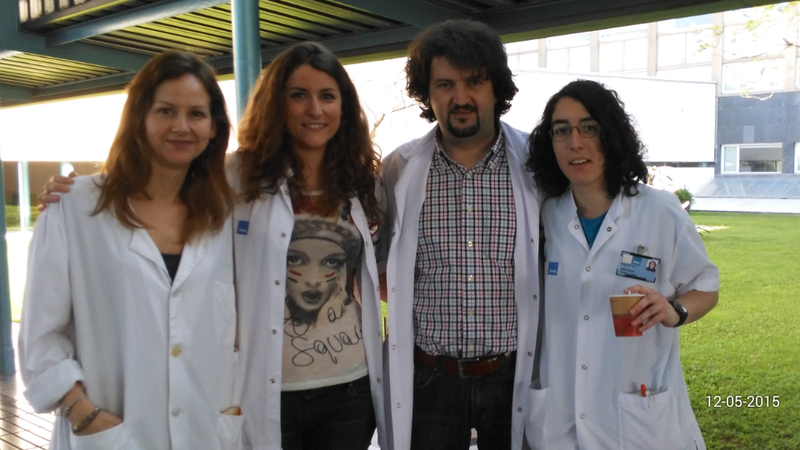 We had the opportunity to talk with them and to open new contacts for this Clinical Neurophysiology Journal Club WEBSITE. 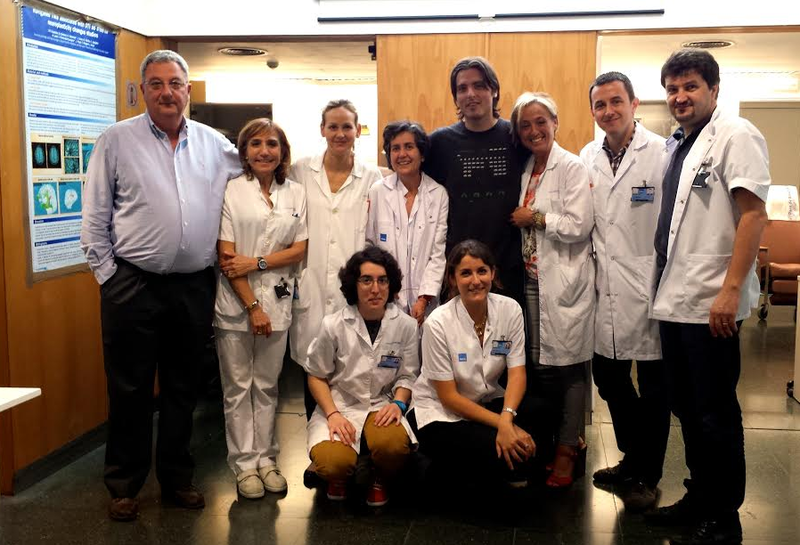 Salva, CN Specialist in a Hospital of the lovely Balearic Island of Menorca had the idea to open a new section in our blog to present a monthly interesting case report. 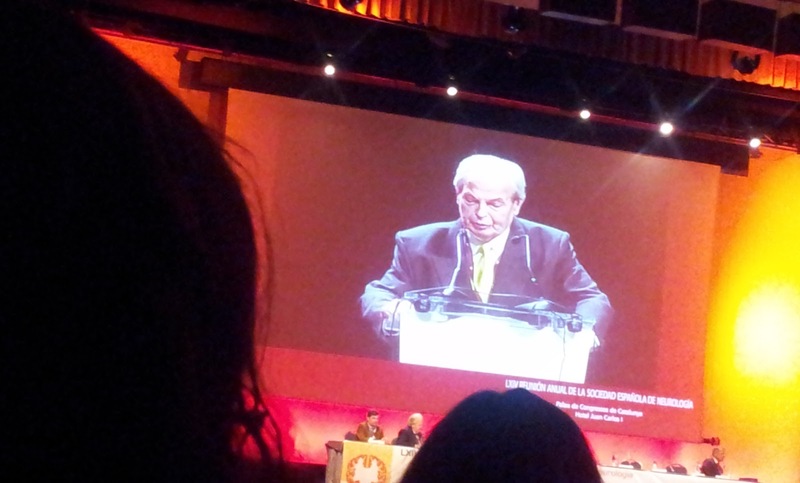 Prof. Dr. Agustín Codina Puiggrós receiving the annual award of Spanish Society of Neurology. 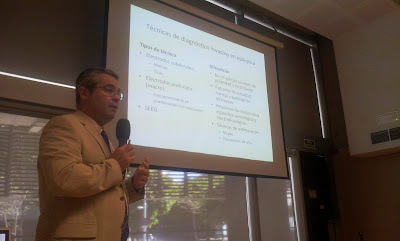 Dr. Angel Arracedo Alvarez, Fundacion Publica Gallega de Medicina Genomica (SERGAS) talking about phenotype problem in genetic components search of complex neuropsyquiatric disorders. 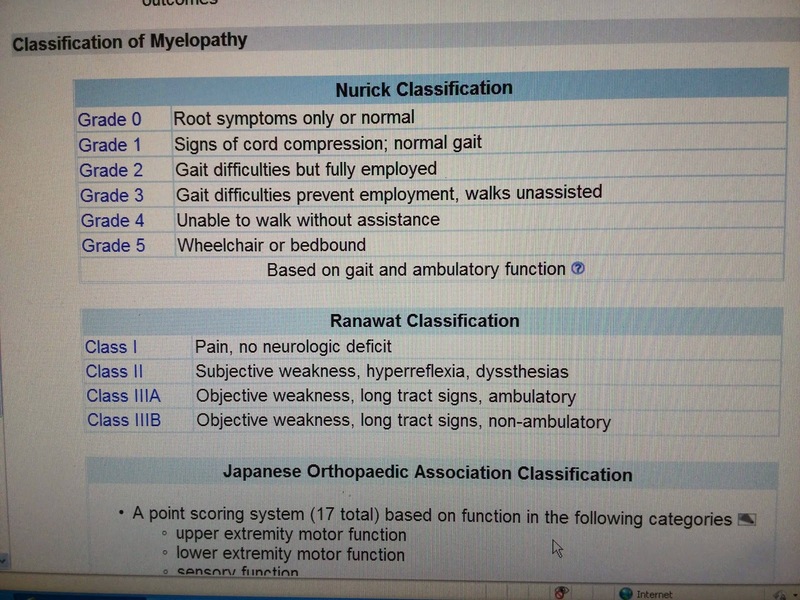 TICs and Obsessive Compuslive Disorders. 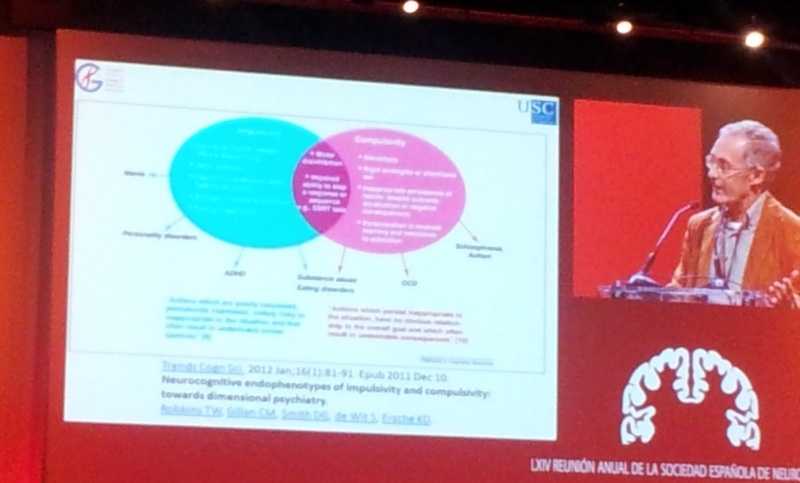 Common genetic variant could confer susceptibility to clinically related phenotypes, and defines a new functional hint in the pathophysiology of psychiatric diseases (see here). Dr Delgado searching for traits of the new antiepileptic drugs. 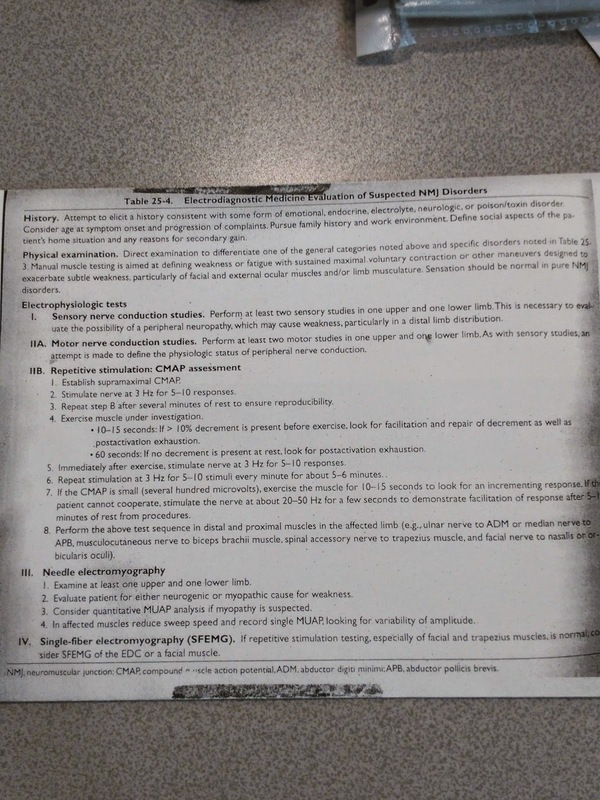 A clinical overview of AEDs can be checked in Bahrain Medical Bulletin, Vol.28, No.3, September 2006 (here). 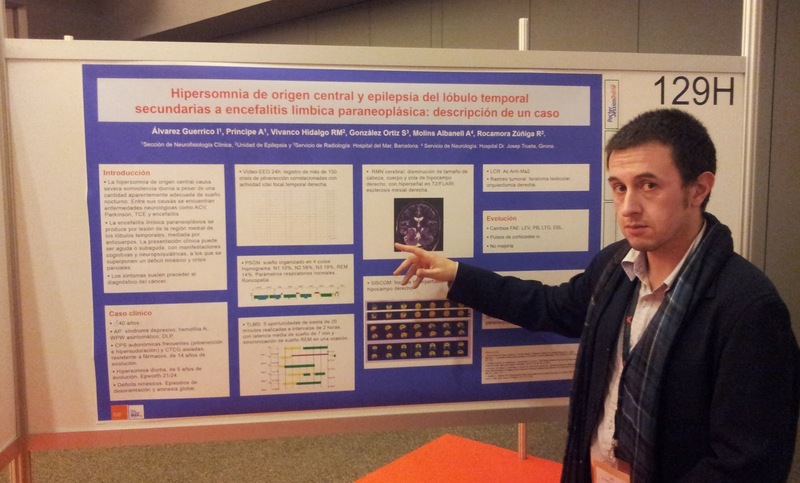 Excessive daytime sleepiness (EDS), Epworth 21/24 of 5 year associated to Paraneoplastic Encephalitis in a 40 year old pacient with orchiectomy for testicular teratoma and drug Resistant Epilepsy, case report in poster presented with 129H/2225 code by Dr Ion Alvarez Guerrico, clinical neurophysiologist of our CN Staff in Hospital del Mar. 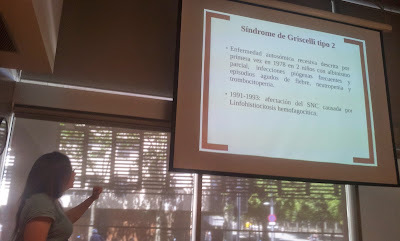 In 2004 a comprehensive clinical analysis of 38 patients with anti-Ma2 encephalitis was performed by Dalmau et al and was published in Brain (see here). 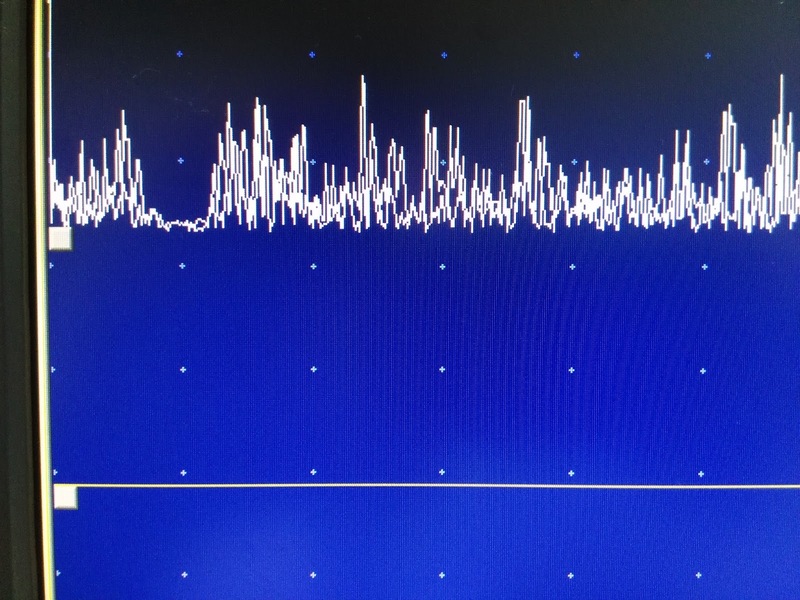 Overall, 12 patients had clinical evidence of seizures (seven partial complex seizures; five partial complex seizures and generalized tonicclonic seizures). 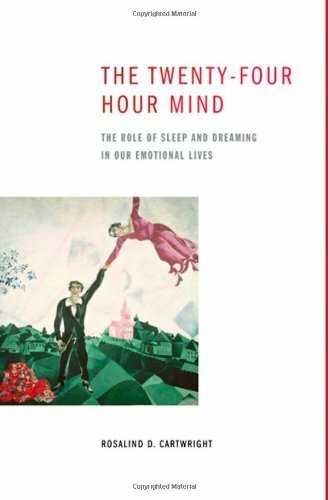 Thirteen patients developed diencephalic dysfunction, 12 with EDS and two of them with cataplexy and hypnagogic hallucinations. 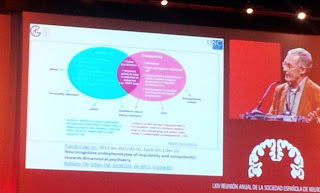 The case presented show the presence of both limbic and diencephalic symptoms with manifestation during a large period of time and the importance of the Clinical Neurophysiology to evidence the clinical manifestations of these injuries wich appear together or before of cancer complications. 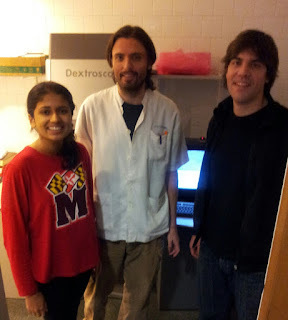 Tanya, student from University of Maryland and bioengineer Armand Gutierrez, Barcelona Biomedical Research Park collaborator together with Dr Principe, just few minutes ago.